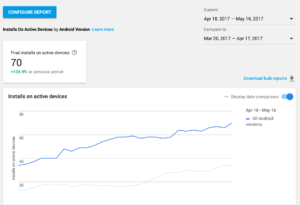 TLDNR: Google follows up on a recent design/navigation update to the Google Play Console with a beefier update that includes new trending analyses, data points on user retention and subscriptions, and analytics features for app health/release management. 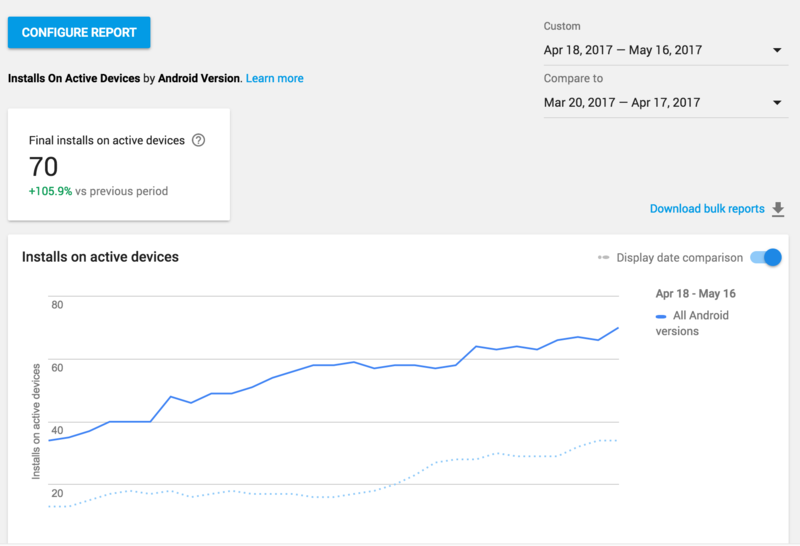 Here Google has revamped the Play Console to offer app marketers/developers a better sense of trends by providing a two-date comparison toggle, which is much appreciated. Adjusting data inputs of the report (e.g. 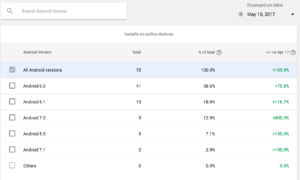 selecting between active devices vs cumulative installs) is now called "configure report." App marketers/developers will also be able to see hourly data, which is an exciting new level of granularity! New data points include the following, each of which is intended to provide developers with insight into app performance in terms of stability, battery & rendering times. 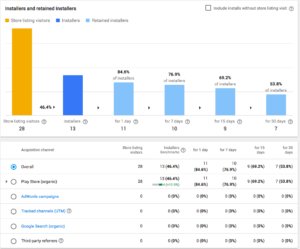 It's possible that this newly released data will have an impact on Google's algorithm, as it did with an earlier algorithm update after Google began reporting active users, not just current installs. ANR Rate – Percentage of daily sessions during which your users experienced at least one ANR. A daily session refers to a day during which your app was used. Crash Rate – Percentage of daily sessions during which your users experienced at least one crash. A daily session refers to a day during which your app was used. Slow Rendering – Percentage of daily sessions during which users experienced more than 50% of frames with a render time greater than 16ms. A daily session refers to a day during which your app was used on a device. Google collects the render time of each frame rendered by your app when using the UI Toolkit framework, not when it is using OpenGL directly. Frozen Frames – Percentage of daily sessions during which users experienced more than 0.1% of frames with a render time greater than 700ms. Stuck wave locks – Percentage of battery sessions during which users experienced at least one wake lock of more than one hour. Note that some apps require long wake locks to enable their core functionality such as streaming music. Excessive wakeups – Percentage of battery sessions during which users experienced more than 10 wakeups per hour. A battery session is the period between two full charges of a device. Data is collected only when the device is off charger. Google includes new tools for... Managing releases! Making a notable appearance is Android Instant apps. Google also offers new features for device catalogs and app signing. 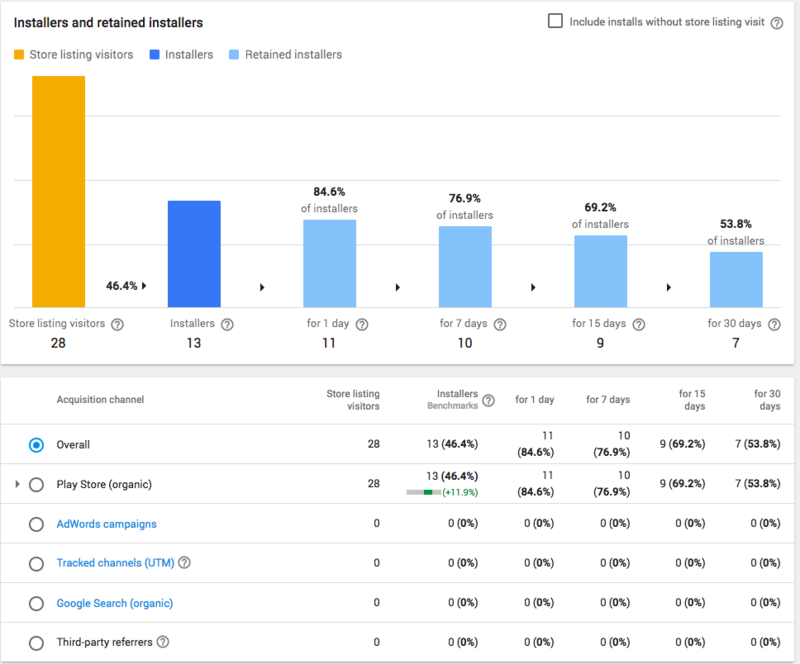 In the user acquisition tab, Google offers another significant update, providing new time periods related to installs, which also hearkens to Google's recent February 2017 algorithm update that called out an algorithmic emphasis on retained users. The new data points of note include advanced retention cohorts of retained installers over 1 day, 7 days, 15 days and 30 days. This data is key for understanding your app's ability to not only activate, but retain users who download, and thus your app's competitiveness in the marketplace. Perhaps we will see a retention benchmark before long, as we have with the release of the conversion rate benchmark. 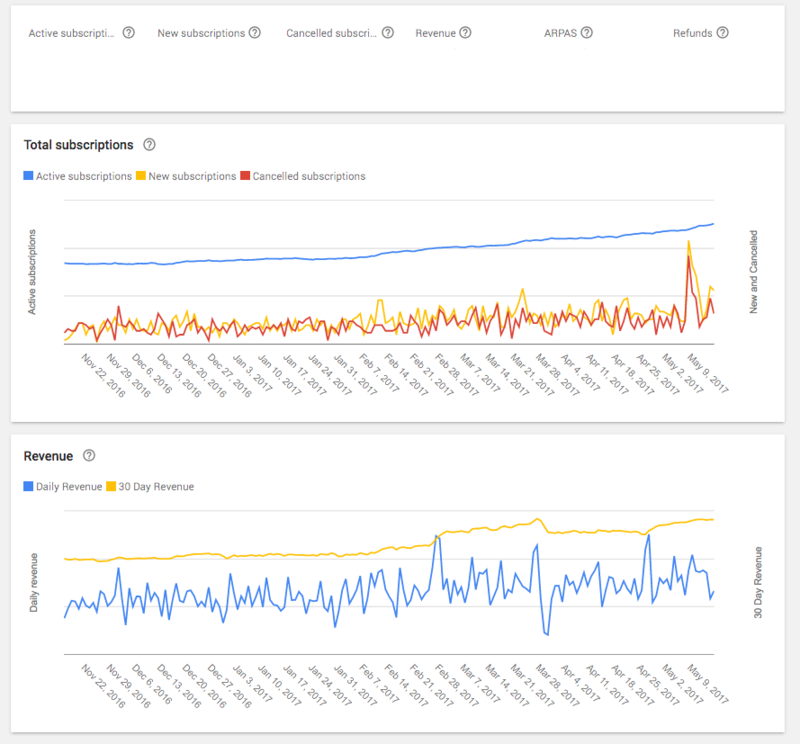 The big change in the Google Play Console's financial reports follows Apple's lead by providing new data on subscriptions aimed at answering the question of: "how are my subscriptions performing over time?" Subscription-based app monetization is clearly the future for apps as confirmed by Apple some time ago, and now by Google. 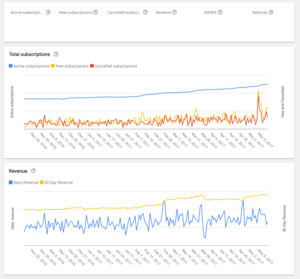 The new data points provide offer a window into your active vs cancellations vs new subs and revenue over time; Google also indicates that retention and cancellation reports will make their way into the subscriptions report. Learn more about these updates via Google Play blog.